There’s a new generation of “classic” these days. If you’re like me, you still think 1990 was about 10 years ago… not 26 years ago. That means that the cars I lusted over as a teenager and as a new driver are now hitting that first milestone at 25 years old. Of course I can (and do) appreciate virtually any era of cars: I’d go crazy if I could get my hands on a 1950 Buick, or a 1968 Nova like my brother’s, or a 1972 Ford Gran Torino Sport like one my dad used to own. But the cars I’m more excited about are the ones that rolled around the streets when I was growing up. Maybe that’s part of the reason why I’m hellbent on acquiring the entire early 1990s model year fleet in my Acura collection. Hagerty Insurance and ClassicCars.com recognized the growing appreciation for cars from 1975-2005 and put on an event specifically catered to those (oft-forgotten) three decades’ worth of automobiles. 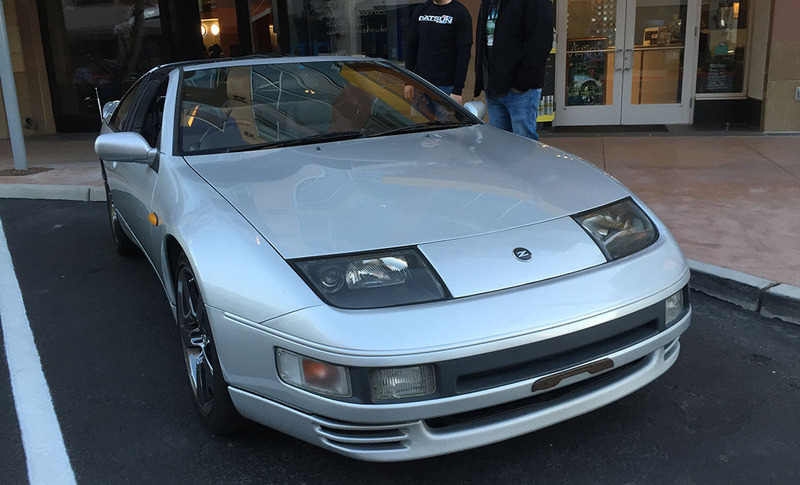 It was called the Future Classics Car Show (FCCS). The venue for this first-annual event was “City North” located at 56th Street in Phoenix, just off the Loop 101 freeway. Organizers had arranged to seal off a shopping & entertainment district called High Street for the occasion. 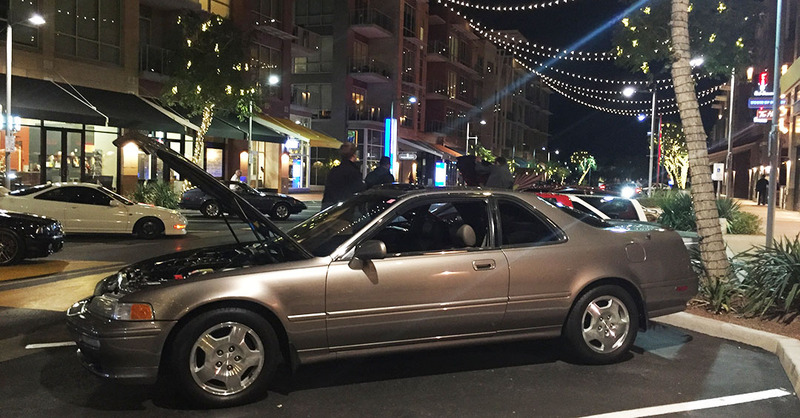 I rolled in with my 1994 Legend coupe around 5:30, and judging started by around 7:30. The $10 entry fees were donated 100% to the Red Cross. I enjoyed the wide variety of cars at the show, and the sense of fellowship everyone displayed. 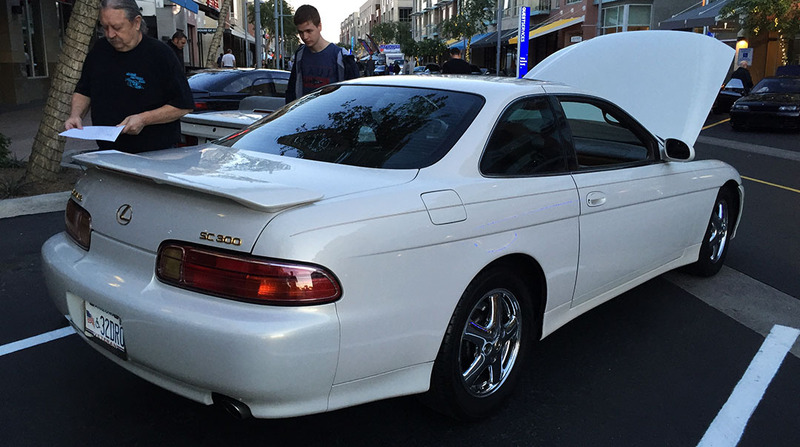 It didn’t matter that I parked in between a Porsche 911 and a Nissan Pulsar – we all got along and enjoyed the show together. 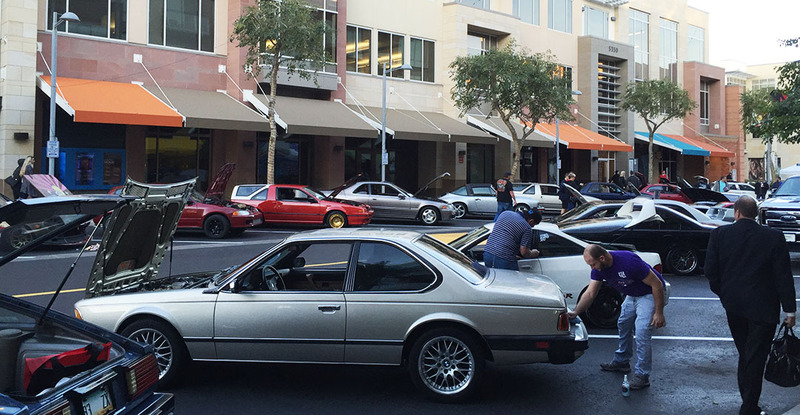 Among other cars that my friends brought were Michael’s BMW 635csi, Kai’s Lexus LS400, Peter’s BMW E46 Wagon, Mike’s Acura NSX, Kyle’s Pontiac GTO, John’s Mustang and more. 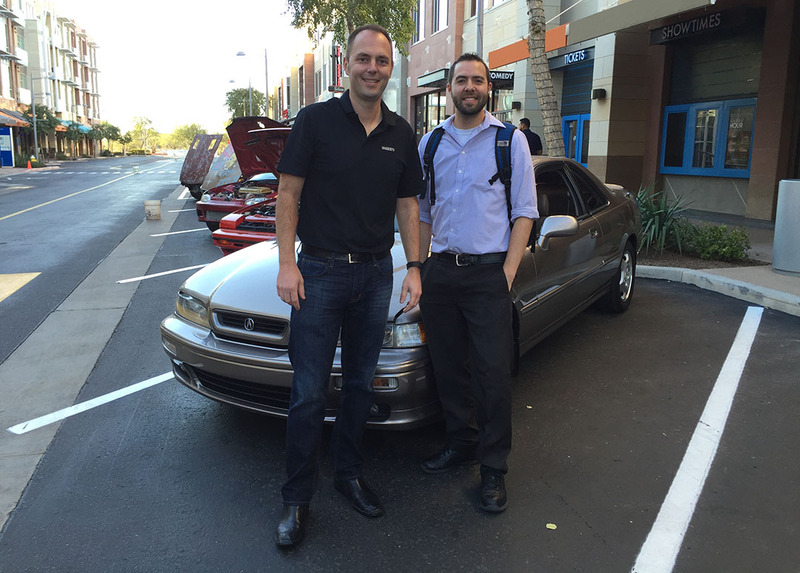 A definite highlight was meeting Jonathan Klinger of Hagerty, the man who inspired this very blog. You see, from October 2010 through October 2011, Jonathan blogged about his experience in daily-driving a Ford Model A for an entire year on 365 Days of A. It was March 2011 when I started Drive to Five. Jonathan is visiting from Michigan this week and was one of the judges at FCCS. 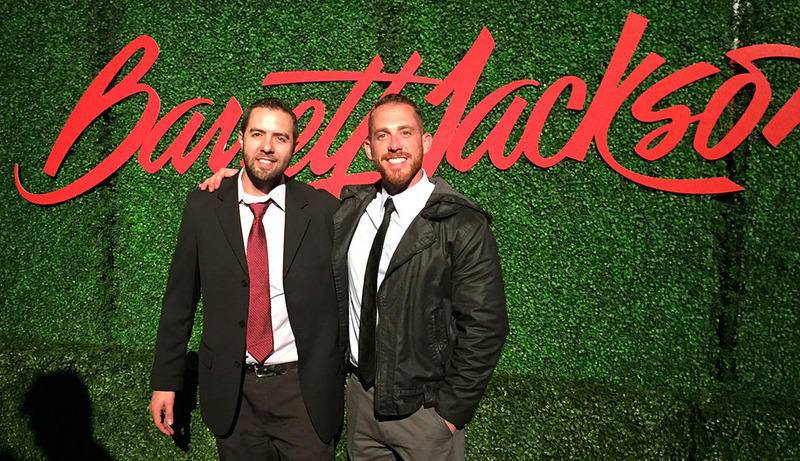 My friend Kyle and I broke away from the show to head over to the opening night at Barrett-Jackson collector car auctions. 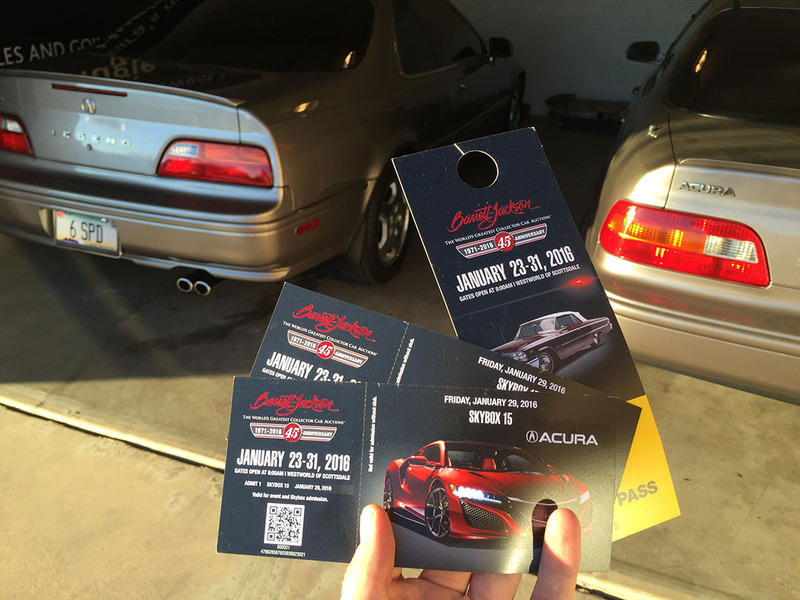 Since 1989, Scottsdale Arizona has become a mecca for car enthusiasts each January as over 1,000 vehicles are auctioned off. 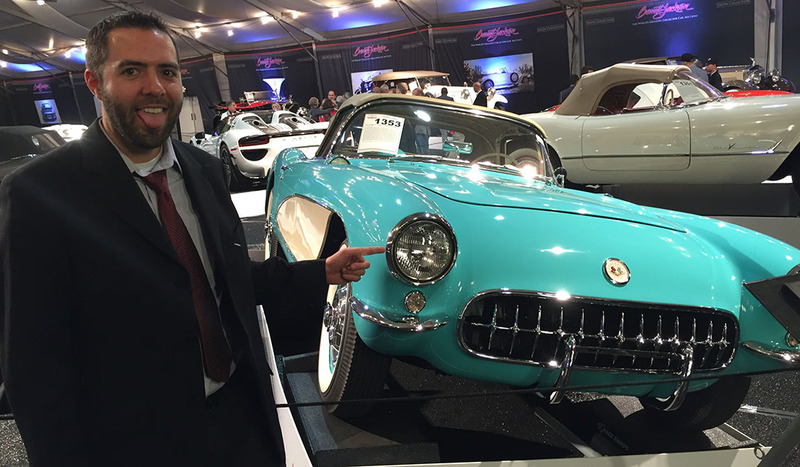 The Scottsdale auction is Barrett’s largest, and it always brings out the high rollers with fat wallets. Just how much money are we talking about? In 2007, a 1966 Shelby Cobra sold for $5.5 million. Spendy! Acura is a major sponsor this year and hosted an opening night gala for VIP guests. 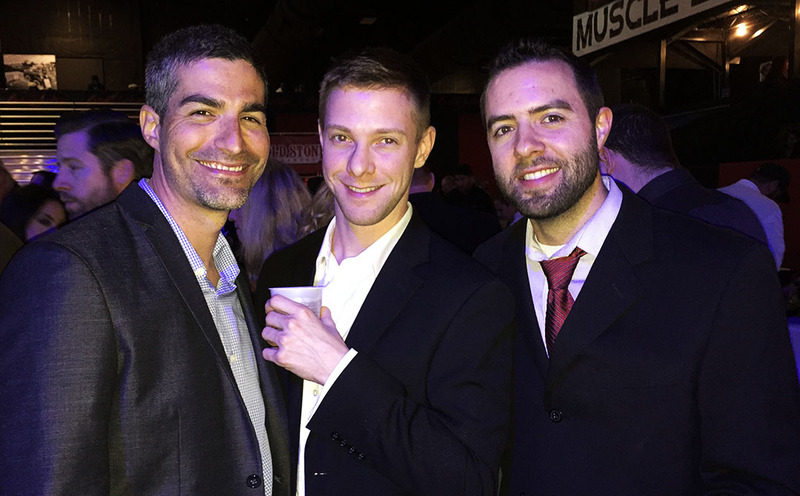 The venue was decorated in festive garb and offered food, drinks, and live music for entertainment. Here are the rest of my pics from Monday night’s fun. 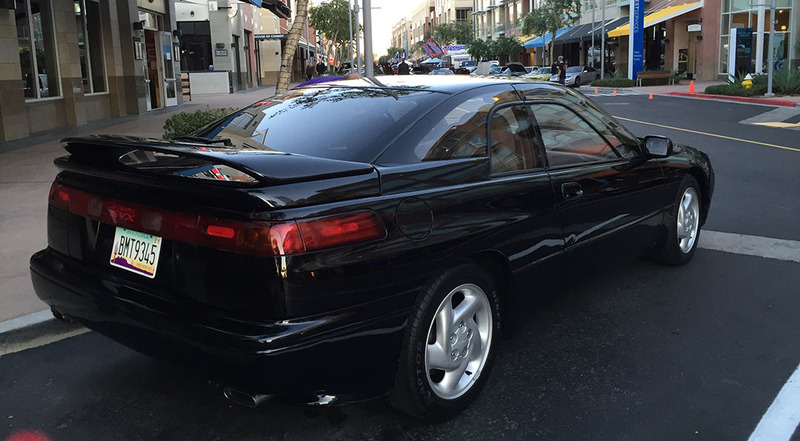 Always a sweet treat to see a well-kept Subaru SVX! This 1954 Corvette is Serial Number 001. It will be auctioned this week along with two other VIN 001 Vettes. $$! And of course, Acura will be auctioning its first production 2017 NSX on Friday night. Any guesses what it’ll bring? I have my tickets, and I’ll be there! Stay tuned. 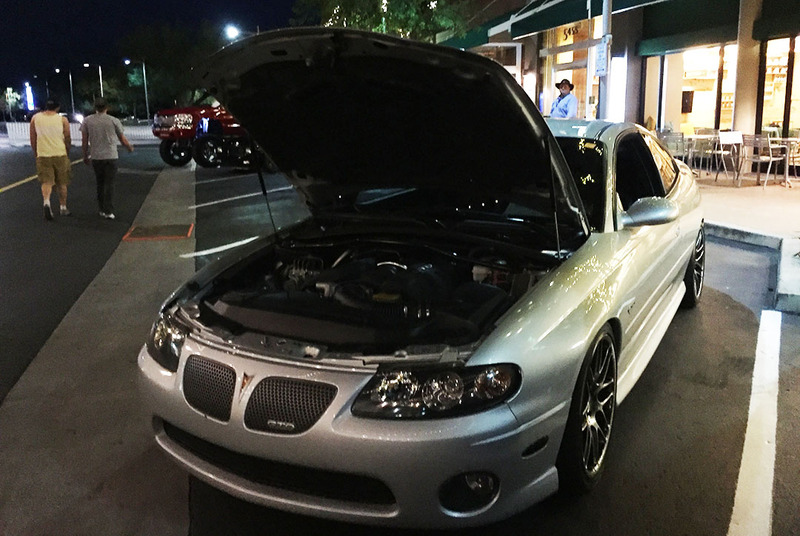 This entry was posted on January 27, 2016 at 6:42 am and is filed under Arizona, Car Show, Legend. You can follow any responses to this entry through the RSS 2.0 feed. You can leave a response, or trackback from your own site. Think if we pool all our money, we can buy the new NSX? Have a blast, I expect up to the minute play-by-play!! You were supposed to win Powerball so you could buy me that car :). And you bet – updates are on the way!! 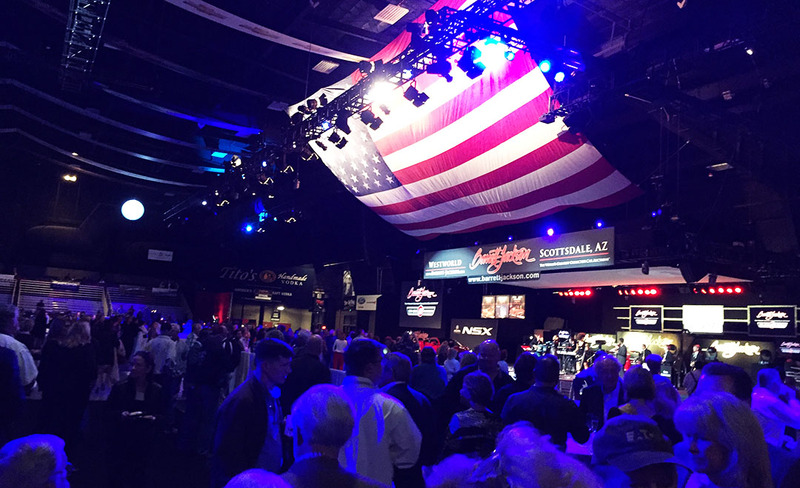 I forgot the Barrett Jackson Auction was right there in Scottsdale. Always nice to see the things they have rolling across the block!